Located directly on the banks of the Tawas River, and just 1/2 mile from the beautiful beaches of Lake Huron, you will love our welcoming community. From great fishing right here in the park, to endless Lake Huron attractions, we're your Tawas City RV destination for year-round family fun. 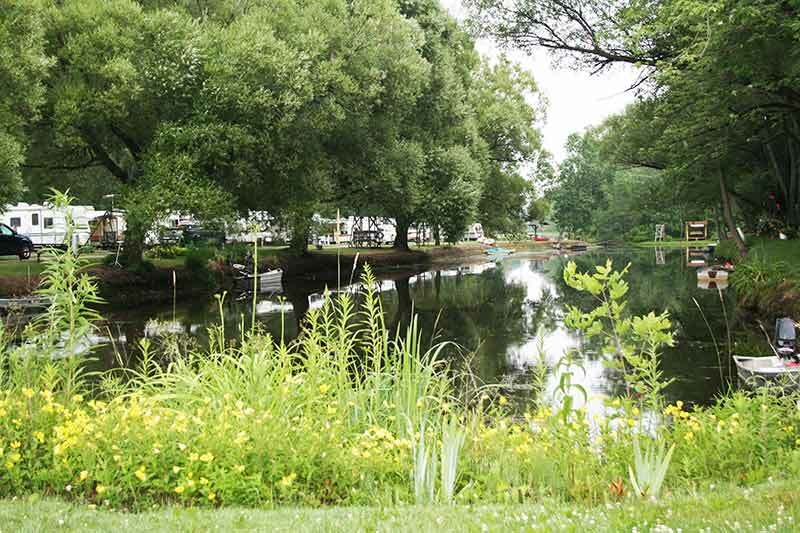 Whether you're into beach-combing, golf, scenic tours, swimming or just relaxing by the river, we offer a memorable Eastern Michigan RV vacation experience your whole family will enjoy. Our cozy Tawas City RV park has everything you'll need for a perfect RV holiday. We're close to shopping, museums, restaurants, and outdoor adventure activities of all kinds. Tawas City is the perfect Lake Huron RV vacation destination.